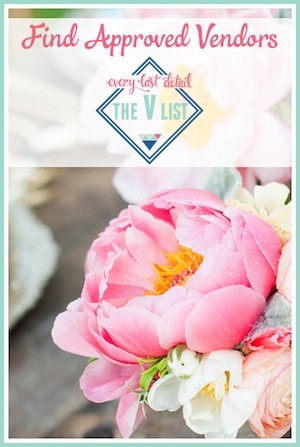 Today we are celebrating another one of our favorite V List stationery designers! 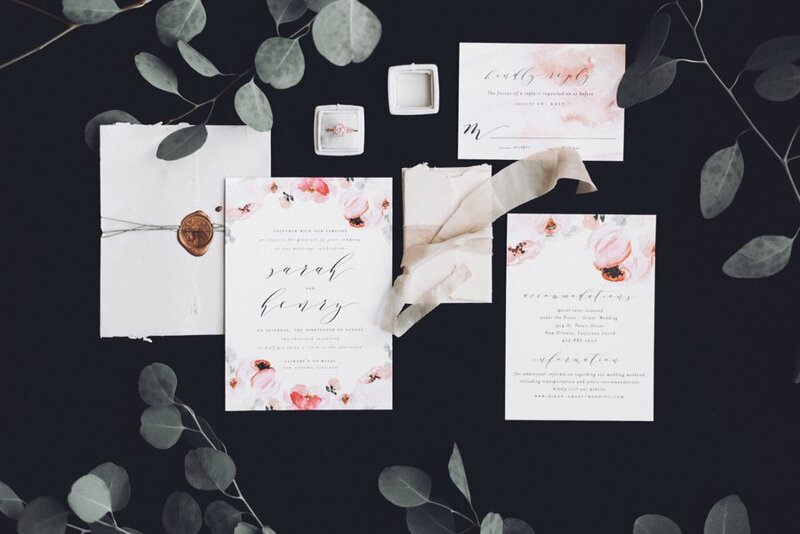 Meet Jen from Blush Paper Co., a Pennsylvania based luxury stationery studio! 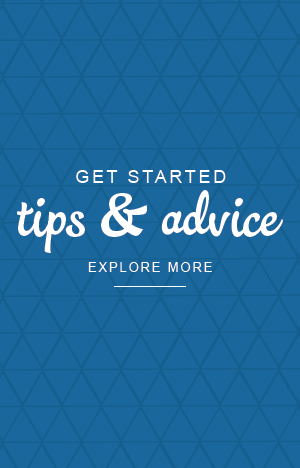 They specialize in custom wedding invitations, foil stamping, letterpress, and digital printing. 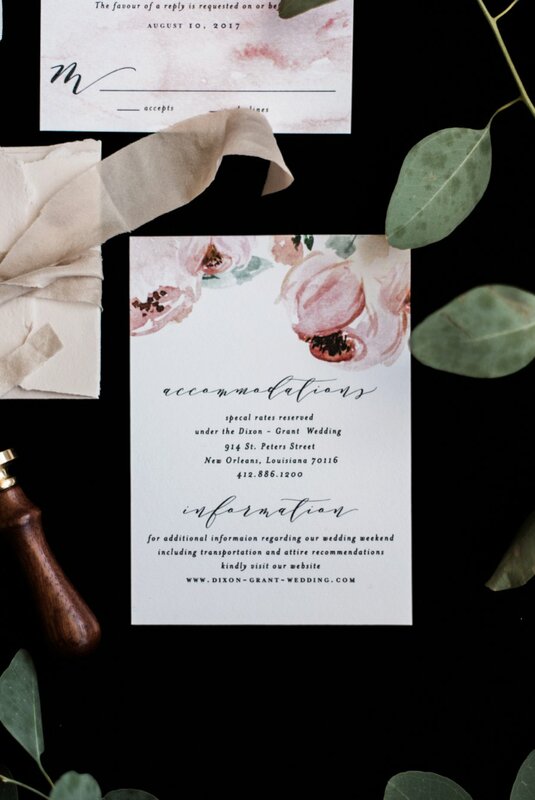 We love their extensive selection of customizable designs featuring beautiful details like whimsical floral watercolors (a personal favorite). 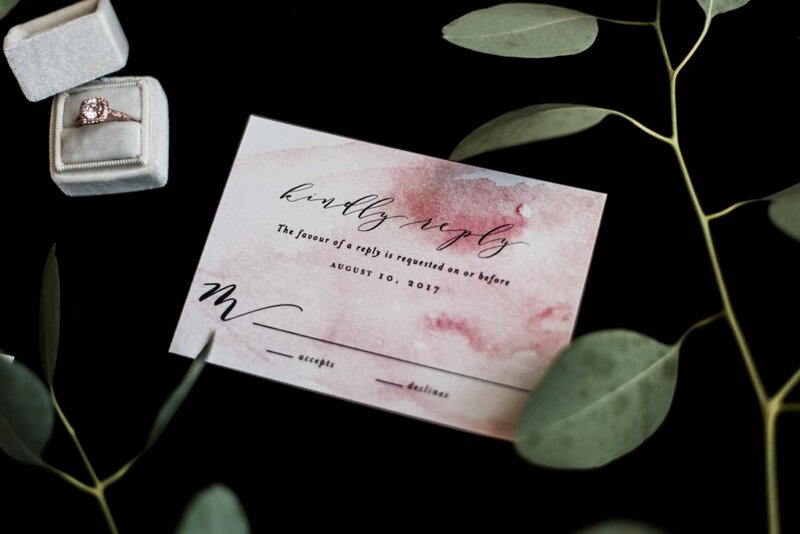 We are loving the soft romantic vibe that the “Sarah” invitation suite creates as it mixes peachy-pink florals on the invite and a watercolor wash across the RSVP card. Check out all of the gorgeous designs that Jen creates, and we hope you love this suite that the talented Margot Grey captured. 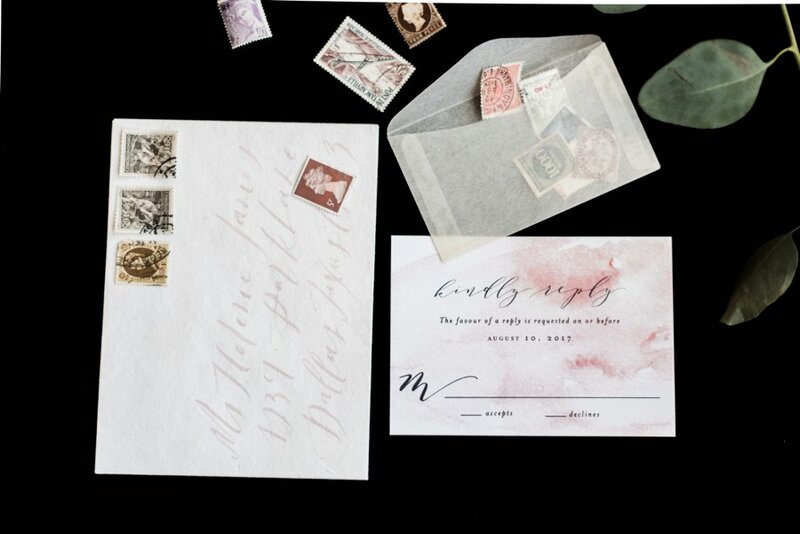 Our Sarah invitation suite reminds me of a hidden field filled with lush, rolling gardens and a stormy sky. Can’t you just smell the flowers? The watercolor wash adds an element of surprise against the floral bouquets, and is a lovely contrast against the otherwise botanical suite. 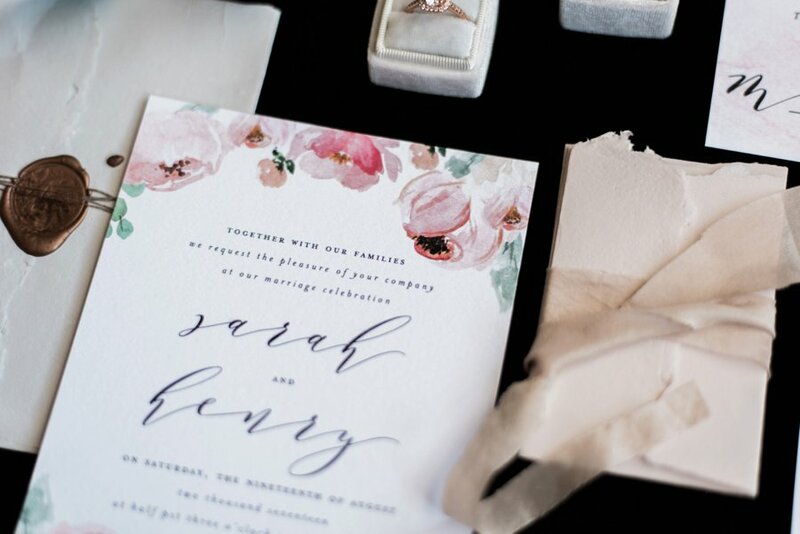 We love seeing Sarah paired with grey envelopes and vintage stamps. Hand calligraphy adds a gorgeous touch of whimsy. 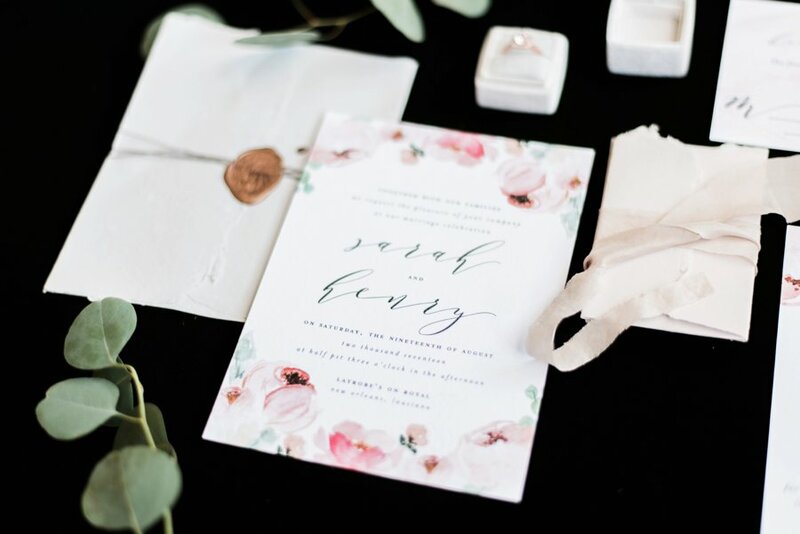 Don’t you love the lovely whimsical feel of these invites? They also design day-of stationery pieces that can work seamlessly with your invitation design. We love this! 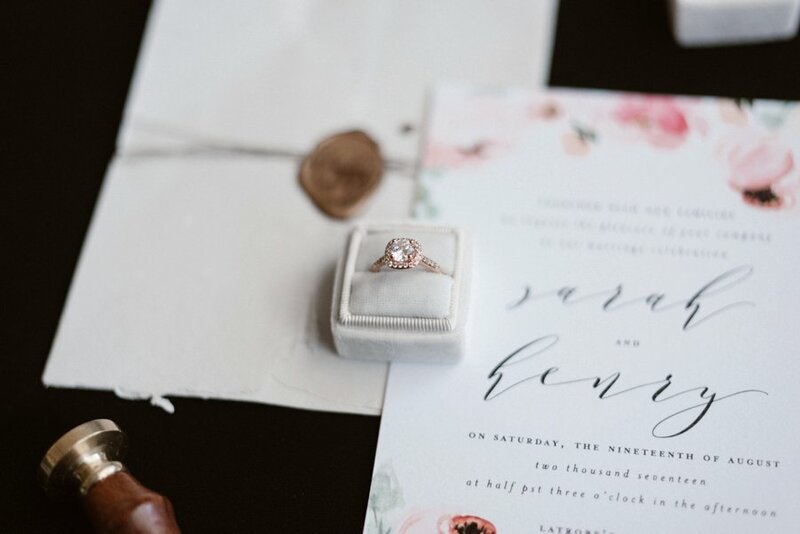 Not in the market for a wedding invitation? 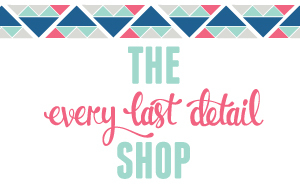 Not to worry, Jen creates a range of stationery pieces for any celebration you’re planning. From parties and babies to holidays and stationery related gifts, Blush Paper Co. has an extensive collection of goodies that are sure to meet your needs.